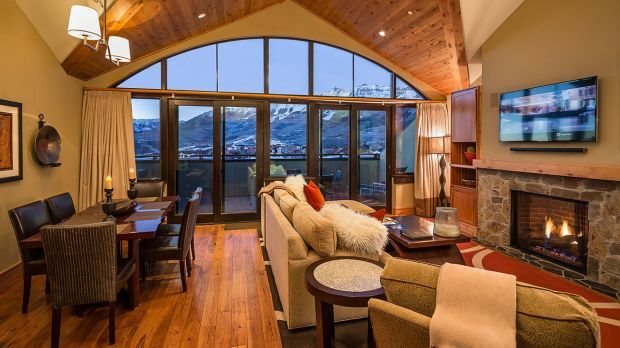 Lumière with Inspirato is one of the last ski-in, ski-out resorts in the heart of Southwest Colorado's San Juan Mountains, and is just seven minutes from the Telluride airport. Upon check-in at Lumière with Inspirato you'll be greeted by a personal valet, who will lead you to your luxury suite. There you'll be welcomed by a warm fire already blazing in the fireplace. This... is a good start. Each privately-owned suite is personally decorated with original artworks, hardwood hickory floors, and hand-blown glass fixtures. After a day on the slopes, leave your equipment with the ski concierge and unwind in your own private steam shower and deep-soaking tub. If you can resist the lure of your gourmet kitchen, drop by Lumière with Inspirato's little bar for light fare in the perfect après-ski setting or sip a lumière martini while star-gazing in one of the outdoor soaking pools. Send an availability request with your requested dates to the Lumière with Inspirato. One queen size bed with Egyptian cotton linens, LED Smart television with Bluetooth sound bar, complimentary wi-fi, safe, Subzero mini-refrigerator, sink, microwave, coffee maker with locally roasted Steaming Bean Coffee, large luxury bathroom featuring L’Occitane amenities, plush bathrobes and slippers. Please note that our standard queen hotel rooms do not offer a view and are the smallest room category. 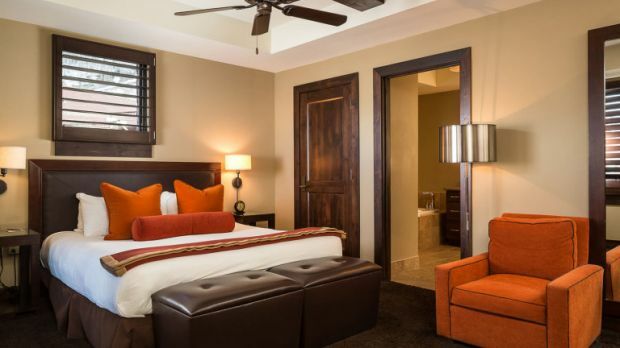 Features 1 King bed, mini kitchenette, lather products and Smart TV. Features 1 King bed, mountain views, sofa bed, living room, kitchen, washer/dryer and steam shower. Features 2 King sofa beds, mountain views, living room, kitchen, washer/dryer and steam shower. Features three bedrooms, village view, living area, steam shower and a kitchen with washer and dryer. Features a comfortable and stylish suite with full kitchen, dining area, fireplace and mountain views of Sneffels Range and/or Mount Wilson. Features 2 King beds, sofa bed, living area, kitchen and steam shower. 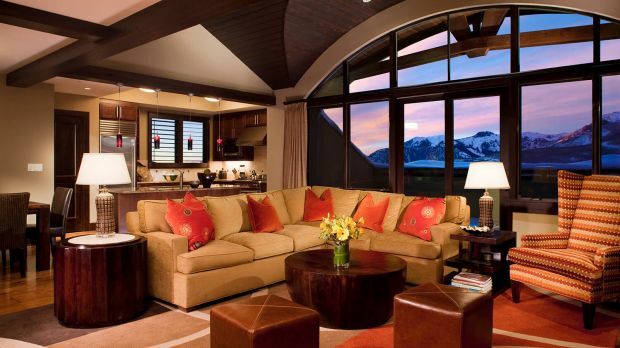 Features a spacious suite with beautiful views of St. Sophia Ridge and Sneffels Range. Features a kitchen, 4 bedrooms, 4.5 bathrooms, living room, and a washer and dryer. Features 2 King beds, 1 Queen bed, steam shower, balcony and washer and dryer. Features 3 King beds, 1 Queen bed, 1 bunk bed, living area, kitchen, 5 bathrooms with steam shower and washer and dryer.